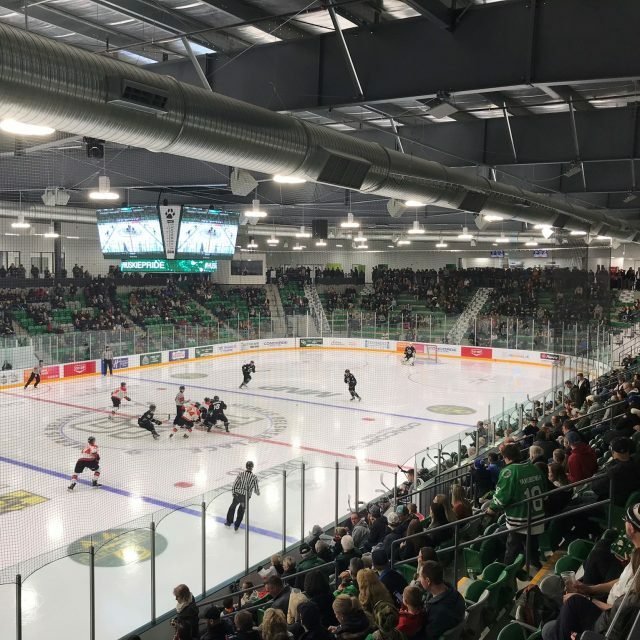 Merlis Belsher Place is a twin-ice, multi-sport facility located in the College Quarter district at the University of Saskatchewan in Saskatoon, Saskatchewan. This project is a very important component of the University’s Athletics program, and its location by the Fieldhouse, the Stadium at Potash Corp Park, and the University’s practice fields will complete an athletics centre of excellence on the south side of the University’s campus. 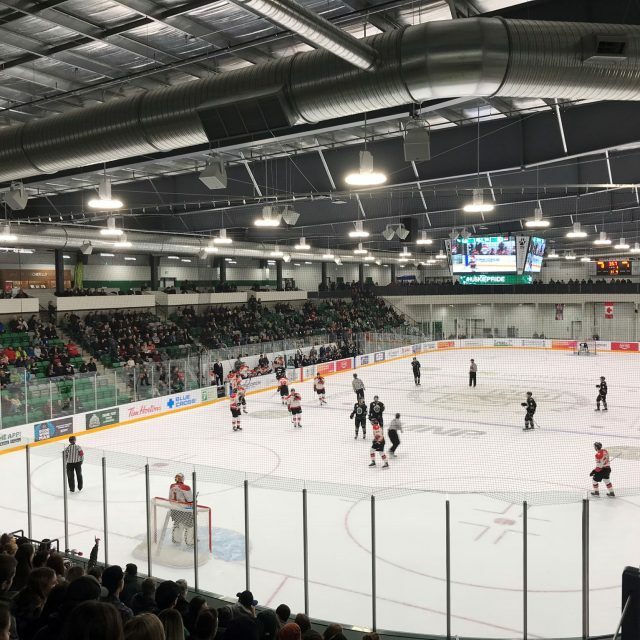 The Merlis Belsher Place features two NHL size ice rinks to provide ice time for University of Saskatchewan Huskies, community use, and Campus Recreation hockey teams and provides seating to accommodate 2,400 with future expansion to 3,200 spectators. The main floor of the facility houses storage and locker rooms for the University of Saskatchewan Huskie men’s and women’s hockey teams as well as locker rooms for the Huskie men’s and women’s soccer teams, gender equitable dressing rooms, a fitness area, and sports medicine and weight training facilities. A double gymnasium, complete with amenities, is also located on the main floor and will be used as a primary training centre for the Huskie women’s and men’s basketball teams. The two-storey main lobby is the focal point of the building, featuring a central reception area that provides control all access to the building and has views into each arena. The main feature on the second floor is a lounge/restaurant overlooking the main area. A multi-purpose room is also located on the second level. 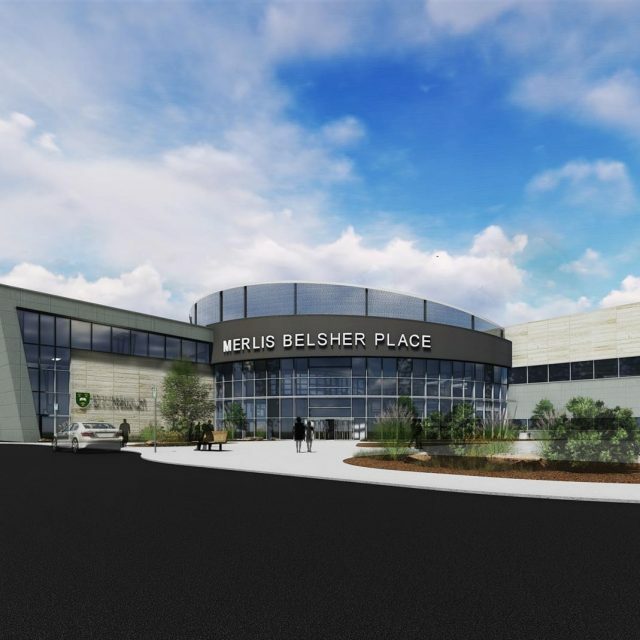 The Merlis Belsher Place is designed to achieve LEED Silver certification.